447. 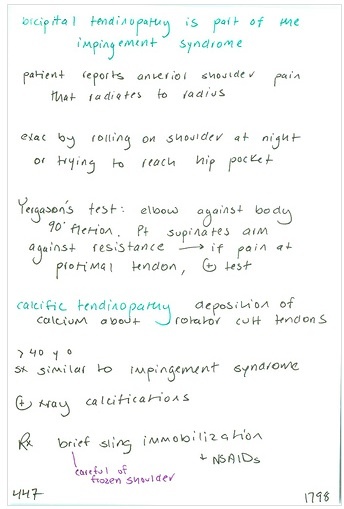 Symptoms of bicipital tendinopathy / Test to elicit it / What is calcific tendinopathy? Next PostNext 448. What condition commonly causes pain in the lateral elbow? / Who gets it? / Test? / Rx? / What is the counterpart on the medial elbow?